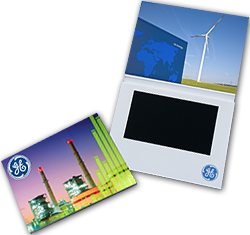 Video Brochures, provides the information regarding the products and services in an interactive way. Video Brochures are the combination of print as well as video. This way, brands can communicate their message more efficiently and generate more leads. There are several benefits of video brochures like it act as a powerful marketing tool, helps in data and lead generation and augment communication. With the introduction of video brochures, marketing of services and products becomes more . Through a single channel, with video brochures, a business can provide its customers a full range of information with touch and feel like the experience. Your products speak their language, and you are not needed to explain each and everything related to customers verbally. On few simple clicks, you can share company overview, its products and services, new arrivals, and any other thing you want to display or showcase. The video is undoubted, more powerful when integrated with video brochure.Video brochure appeals directly and makes a direct way to generate leads and gathers data. This is the simplest way of converting the audience into customers, as you have all the triggers at one page. It also allows in-depth analyzing and monitoring process for getting the better response. For instance, when you distribute the data to any place, through video brochures you can monitor and track the performance of that distribution. If the distribution is not received the response as expected, you can easily alter the place of distribution, your message or video. Video brochures meet the requirements of businesses communicating effectively in the short span of time. 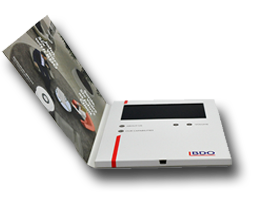 It is a tool when combined with simply printed brochures, carry an excellent and vigorous marketing campaign. The best part is like printed brochures; you can make amendments to it anytime. Don’t wait and watch and just improve your marketing style by adopting this new way of promoting and marketing your business brand.